We are excited to let you know that we've just launched our first collection of phone cases at Alphabet Bags! 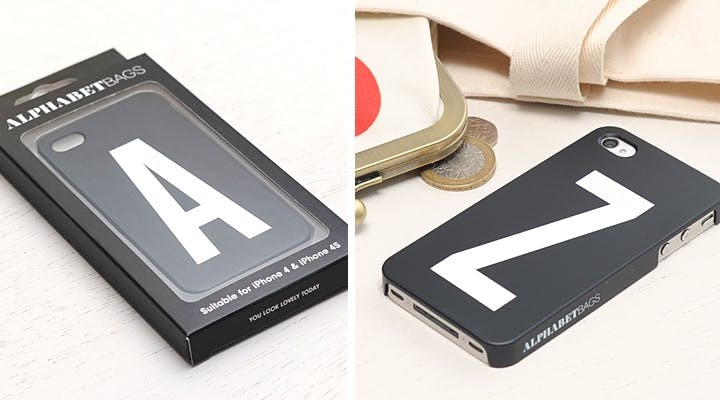 Personalise your iPhone with your initial or favourite letter of the alphabet with our flexible plastic hard cases. The beautiful bold initial has been screen printed in white onto a black hard case with a smooth matte laminate. The case clips to your phone neatly and its slim design compliments the shape of the phone perfectly. Suitable for iPhone 4 and iPhone 4S.